Doug Lindsey got the call and he wasn't sure what to make of it. His season at AA Reading was long over and Lindsey had returned to his native Austin, Texas. Now, in late September 1991, he was getting his first call to the major leagues. "I didn't believe it at first," Lindsey told The Philadelphia Inquirer later. "I called up (player personnel administrator) Ed Wade, just to make sure. I thought maybe an old teammate was playing a joke." It wasn't a joke. Lindsey was going to Philadelphia, getting into a single game, Oct. 6. Lindsey would go on to get into just four more games, two years later, part of a professional career that spanned eight seasons. Lindsey's career began in 1987, taken by the Phillies in the sixth round out of Seminole Community College. At Seminole in 1986, Lindsey had the most RBIs of any junior college player, The Grand Saline Sun wrote. Lindsey played that first year at short-season Utica, hitting .243 with one home run. He hit single-A Spartanburg in 1988, then AA Reading in 1990. In 1990, Lindsey started the year off with a successful suicide squeeze that proved the difference in a 1-0 Reading win. He ended up hitting just .173 on the season. He returned to Reading for 1991, hitting .259 with one home run. Defensively, Lindsey did much better. He was named the best defensive catcher in the league, The Inquirer wrote. In September, the Phillies suffered through injury problems, making the call to Lindsey. Lindsey, though, got into only one game, Oct. 6. In three at bats, he struck out all three times. 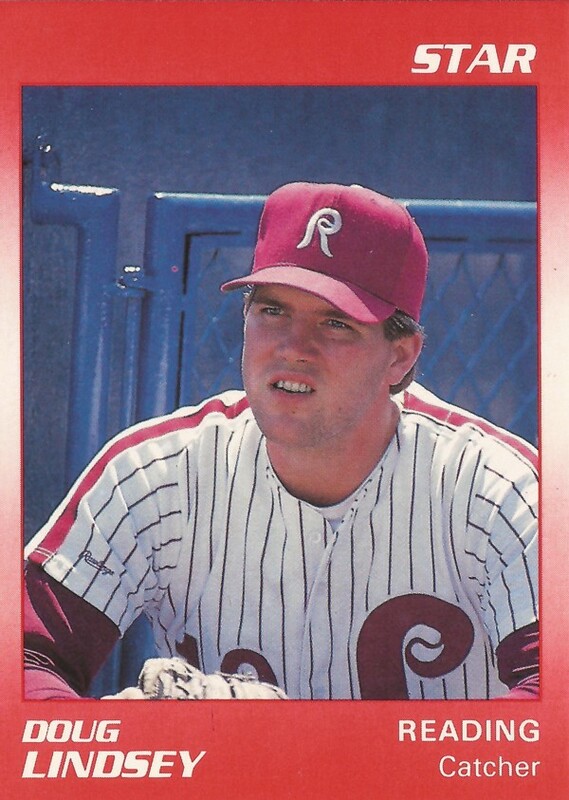 Lindsey returned to the minors for 1992, at AAA Scranton. He hit .208, with four home runs. Back at Scranton for 1993, Lindsey hit even worse, .174. But he also got his second call to the majors. In late April, Lindsey joined the Phillies in San Diego. "It's kind of nice to be joining a first-place team, especially in San Diego," Lindsey told The Inquirer. "I've never even been to California before." Lindsey got into two games then, getting his first major league hit. Later in the year, Lindsey was traded to the White Sox, getting two more appearances as a September call-up. Lindsey's career lasted just one more season, with the White Sox at AAA Nashville and with the Orioles at AA Bowie. He hit .244 between them, but didn't get another call to the majors.